Martha Roberson Green was born August 13, 1926 in Sarasota, Florida. The oldest child of Samuel R. and Eleanor Hughes Roberson - moved to Northwest Florida, grew up in Graceville, Florida, graduated Graceville High School and attended Florida State College for Women, now FSU, in Tallahassee. Funeral Service will be 2 PM, Monday, January 28, 2019 at First Baptist Church in Dothan with visitation one hour prior to service, burial to follow at Memory Hill Cemetery. 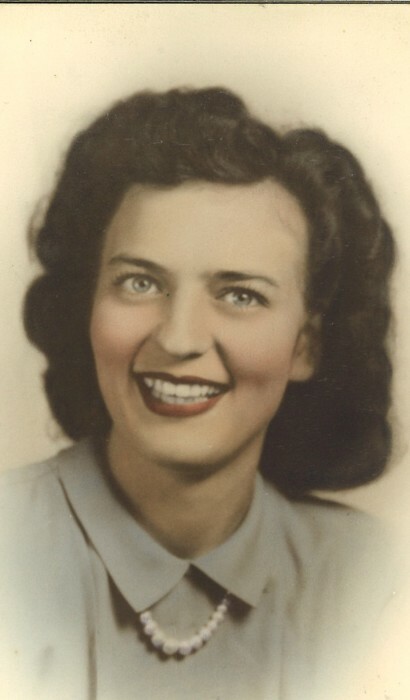 Married to LC Green, Jr. on November 4, 1945 and moved to Dothan where she resided the remainder of her life. Active in the family business, Green’s Men & Boys Wear. She was also employed in the women’s department of The Dothan Eagle with Louise Hall, social editor and Mary Nell McLelland, food editor. She loved working the voting polls during election years so she could meet and greet her Dothan community. Martha retired as a member of the public relations department of Flowers Hospital. She shared the hospital’s mission statement for her life’s focus: God, Children & Family. Martha was very active in her beloved First Baptist Church of Dothan where she assured her children were raised surrounded by God’s teachings and love. She was a founding member of The Mother’s Club. She enjoyed exercising her love for writing within the Dothan Writer’s Group. Martha also loved sports and rarely missed watching a Brave’s Baseball game or an FSU football game. She attended countless sports matches of her children and grandchildren. And never missed a Graceville High Class of ’44 reunion. She loved to travel. She and her husband, LC, traveled with their friend group on many excursions. Martha loved meeting new friends because she loved people. She had a warm, sunny smile and sparkling blue eyes that lit up the room. She often joined outreach opportunities within her church. Martha is survived by her siblings; Sam Roberson and Barbara Linam, her children and their spouses; Bill and Margaret Green, Becky Green and Janet Craig, Joanna and Markus Beige. Her grandchildren and their spouses; Lauren and Philip Justiss, Hunter and Whitney Green, Holden Green, Dawson Painter, Justin Painter. Her great-grandchildren; William, Griggs, Grace Catherine, James Justiss as well as her latest great-grand baby, Henry Green.